The Mekong delta of Vietnam experienced unprecedented saline water intrusion in early 2016 impacting its soils, rivers and groundwater resources. Salinity intrusion is one of the main research area of the DeltAdapt project which is funded by BMBF and brings together a range of experts from Germany and Vietnam. The aim is to better understand environmental, social and policy changes shaping agricultural challenges and adaptation options in Vietnamese deltas. The project addresses two contrasting deltas: The Red River delta in the North of Vietnam, which is protected by dykes against sea water intrusion and serves thus as a sentinel for an infrastructure-based adaptation pathway; and the Mekong delta which is comparatively less reliant on protection infrastructure. The partnership within the DeltAdapt project consist of Vietnamese organizations, including Can Tho University (CTU) and the Vietnam National University of Agriculture (VNUA) Hanoi University which working closely with partners in Germany , including UNU-EHS, the University of Bonn, Forschungszentrum Jülich, the University of Würzburg, Helmholtz-Zentrum für Umweltforschung (UFZ), and TerrAquat Consultants. In total more than 20 scientist and eight PhD students are contributing to the research. UNU-EHS has worked in Vietnam and the Mekong delta region for over 10 years. The cooperation commenced in 2006, when scientists from Can Tho University, a leading academic institution in the region, and UNU-EHS started working jointly on challenges related to water quality and related risks to ecosystems and human populations as well as risks linked to floods, droughts, and salinity intrusion. Dr. Fabrice Renaud of UNU-EHS is convinced that the scientists of Can Tho University are ideal partners: “Scientists of Can Tho University are bound to the inhabitants of the region. Many of them grew up in the Mekong delta. They aim at finding practical solutions for the people of the Delta and have a strong connections with them beyond their research interests. At the same time they are very open to and interested in working with international partners, especially ones who have focused on the region for a long time. In this sense we found our ideal match.” For UNU-EHS, the DeltAdapt project constitutes a continuation of a long-term partnership with a focus on very acute challenges for the region. 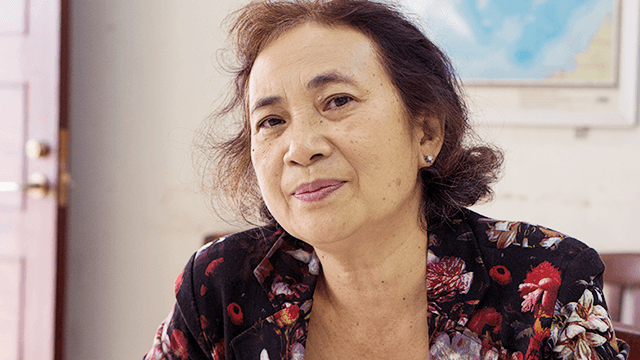 Prof. Vo Thi Guong from the Soil Science department of Can Tho University has been involved since the early stages of the DeltAdapt project. She has now retired from her position, but is still following the project as she is interested in the outcome and wants to follow the research closely. Prof. Guong is especially concerned with the farmer’s practice of selling their topsoil. It was based on her inputs that the topic of topsoil selling became a core research component of DeltAdapt. “Initially selling top soil is very attractive for farmers. They can earn money fast and at the same time by removing the top layer of soil they can access irrigation water more easily. Then they will however discover that they have to pay the costs of land preparation, meaning they need to purchase fertilizer and incur additional labor costs. The problem is that once the topsoil is gone they cannot get it back and the soil will need many years to recover from fertility loss impacting rice yields. The farmers cannot imagine the loss they will incur,” she says. Another important partner in Vietnam who joined the DeltAdapt project is the Vietnam National University of Agriculture (VNUA). VNUA seeks to find sustainable agricultural development solutions in the coastal areas of Red River Delta in the North of Vietnam. 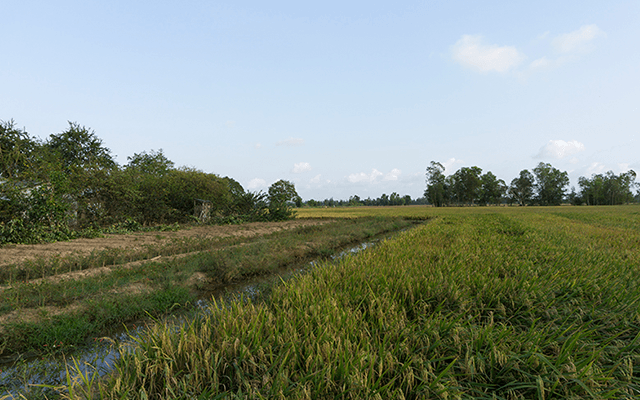 Increasing salinity poses a risk to rice production, a major source of income for the Delta region as rice crops can only tolerate a certain level of salinity before the harvest is affected or crops die off. It also affects other agricultural and aquaculture production systems and domestic water supply. Scientists on both the Vietnamese and German side highlighted the willingness of the inhabitants of the delta region to adapt to climate change and environmental changes. They stressed the need to understand all drivers of change in agricultural production and to livelihoods, as well as possible adaptation options and their consequences in order to develop sound policy recommendation. The results of the DeltAadapt project will be published in 2017.